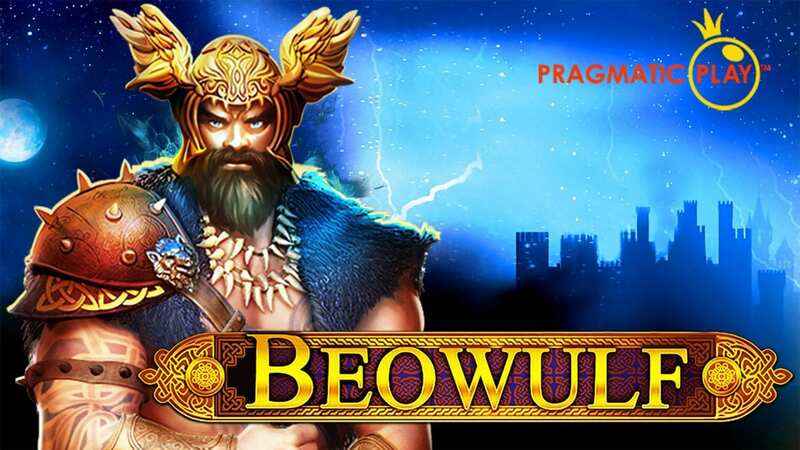 Wizard is responsible for bringing the epic story of Beowulf to life in this impressive video slots game, Pragmatic Play doesn’t shy away from the brutal nature of this tale, delivering you the fierce wrath of the hero Beowulf as he battles for his King protecting the castle and all its treasure against malevolent fiends. This heroic poem has inspired several online slots but none are done so elegantly as that of Pragmatic Play’s. Spin the golden reels under the royal blue sky and watch as the tale of Beowulf comes to live before your very eyes. Are you ready to answer the cry of battle to protect the castle and keep the wealth for yourself? Then join Beowulf in his bold adventure and prepare for the clash of metal. One of the newer faces making an impact in today's online casino game industry, Pragmatic Play know how to make an impact. A rising star that keeps on growing by researching and developing user centric games with high action and high stakes. With a decent range of diverse themes and rich visuals, Pragmatic Play stands out from the crowd. This along with a hugely accessible catalogue on both desktop and mobile they are this year's rising star of the online slots world. 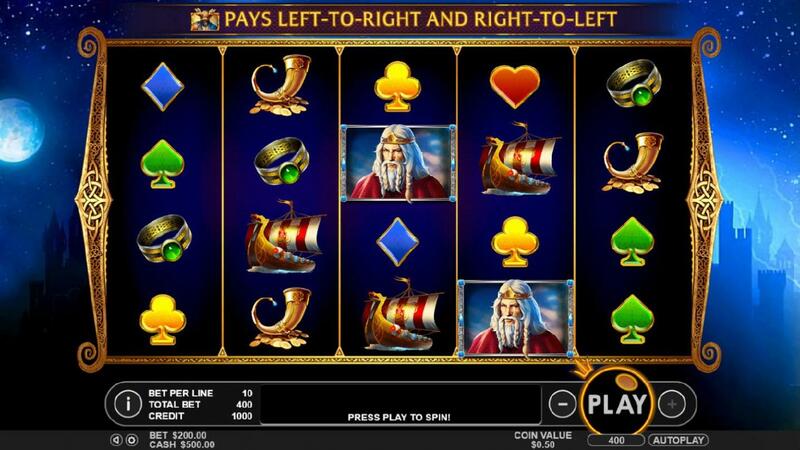 Click the link to view 2019 slots games by Pragmatic Play. 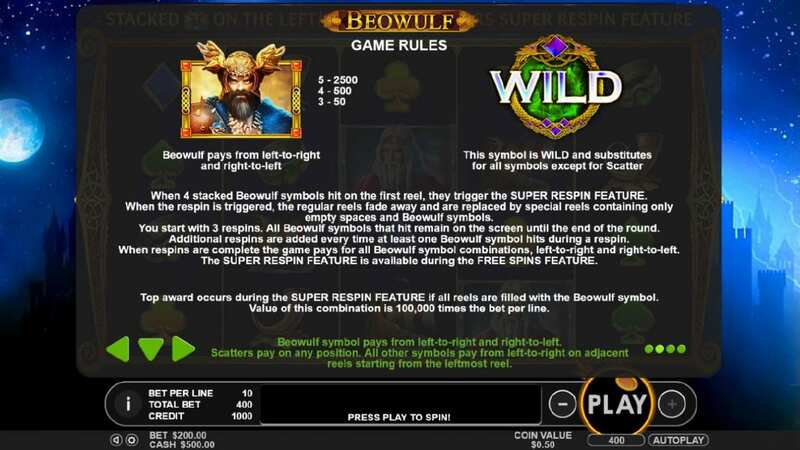 Embark on this epic nordic battle of Beowulf in this 4x5 40 payline video slot game to claim your rewards. Conquer the world and experience this online slot best games with amazing bonus features! Traditionally the card deck symbols are the lower paying elements of the game, but you will be rewarded well when you come upon the red-haired warrior, or the Nordic king the king. Also find a nordic longboat, a horn and a ring to get more even more gold. ● The regular reels change into special reels that contain only Beowulf symbols and blank symbols.